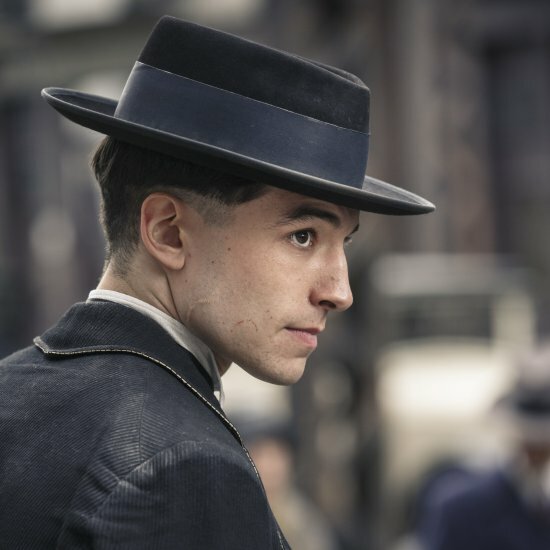 Bloggers and vloggers alike have scoured the texts and concluded: there is no way that the character heretofore known as "Credence Barebone" (Ezra Miller) can be a brother to Albus Dumbledore biologically (that is, through the same parents who gave birth to Albus, Aberforth and Arianna), which leads to two possibilities. The first is what I think many are settling on as the most likely answer--although that's also not stopping us from coming up with more outlandish theories as well--and that is, quite simply, Gellert Grindelwald (Johnny Depp) is lying to Credence about being a brother to Albus Dumbledore. There are a couple of good reasons to suspect this: first, in the same breath Grindelwald tells Credence about being a Dumbledore, he blatantly lies and tells Credence that his "brother" (Albus) wants his total death and destruction and doesn't want Credence to attain to that which he himself has; this is obviously a lie, intended to drive Credence's hatred of someone he has never even met (much like the news of today's world creating divisive politics). In the beginning of the film, there is also the "gift" which Grindelwald gives to Abernathy for having posed as Grindelwald and had his tongue removed: the forked tongue. A very important point has been raised by several people simultaneously: if Dumbledore can't move against Grindelwald, then why was he able to duel against him when Arianna was killed? Therein, we surmise, lies the answer: if Dumbledore or Grindelwald move against each other, then "blood is going to be spilled," not necessarily their own blood, but the blood of someone important to them, in that specific case, it was Arianna. Initially, when Dumbledore tells Harry Potter about it, Dumbledore has been afraid all those years that he was the one who accidentally cast the fatal spell; when Aberforth tells the story to Harry in The Deathly Hallows, Aberforth says it could have been any of the three of them, including himself; when Harry has "died" by Voldemort's wand and ascended to King's Cross Station where Dumbledore meets him, Dumbledore then says he thinks it was Grindelwald who did it because Grindelwald had lost control and, even though Dumbledore head seen that coming, he didn't want to admit it until it was too late. NOW, however, because we know of the blood pact, it's possible that none of the three were responsible for the spell that killed Arianna: it's possible that the three males (Grindelwald, Aberforth and Albus) only wanted to incapacitate the other two males, whereas Arianna--unable to realize what was happening, and unable to control her magic--was actually trying to kill Grindelwald (because she all ready killed her mother), and because of the blood pact (Arianna and Grindelwald shared blood because her and Albus shared blood), Arianna was killed herself; had Albus Dumbledore been trying to kill Grindelwald, Albus would have been the one to die, not Arianna, and the same with Aberforth. So, when Dumbledore tells someone, "I can't move against Grindelwald," he might be saying, "I can't move against Grindelwald or I will die just as my sister died." Let's consider Goblet Of Fire: even though it wasn't Harry who put his name into the Goblet to enter the Tri-Wizard Tournament, it was a binding, magical contract so he still had to compete; likewise, even though Arianna didn't enter into the blood pact between Dumbledore and Grindelwald, the blood pact was a binding, magical contract between Dumbledore's blood (and anyone else who shares his blood) and Grindelwald (and anyone else who shared Grindelwald's blood). The forked tongue reminds us of The Goblet Of Fire when Peter Pettigrew cut off his right hand to aide Voldemort's return and Voldemort "gifted" Pettigrew with the silver hand in its place (which ended up killing him). Why did Grindelwald give Abernathy a forked tongue? So he would be more like his master. The forked tongue is a sign of the liar, and hence, has always been attributed to the devil himself, aka, the "Father Of Lies." A second indication that Grindelwald is lying is the death of Irma: Grimmson, the bounty hunter for the Ministry of Magic, is tasked by Grindelwald to protect Credence, and it's just before Irma can tell Credence anything that Grimmson shows up and kills her, thereby protecting Credence "from the truth" (but no one but Leta knows the babies were switched, I hear you argue, and that is correct, but it was still Credence who was given to Mary Lou, and he could have found something out; besides, no one but Leta knew, which means Grindelwald was NOT protecting Credence from mis-information [that he was Corvus LeStrange] but what Grindelwald also thinks could be true, that is, Credence was a LeStrange). This brings us to the major argument against Grindelwald lying: the phoenix. Here is an important point: if Dumbledore can't move against Grindelwald because of their pact, then why is Grindelwald bothering to enlist Credence? We know that even Grindelwald's acolytes understand that Dumbledore is the only one standing in their path, but I would like to suggest that--even before the Niffler takes the blood pact vial--Grindelwald knows Dumblefore will figure out a way around the pact or of stopping him through some other means, so Grindelwald anticipates Dumblefore's defiance of their pact. The pact, then, acts like the famous Molotov-Ribbentrop Pact of 1939 signed between Joseph Stalin and Adolf Hitler: even though Hitler and Stalin knew they would be going to war against each other, they signed the treaty to buy themselves time. Germany needed to make sure that the Soviet Union would not open up a second front to World War II, splitting German resources, and the Soviet Union needed time to produce war weapons and mobilize, and didn't want to pose a threat to Germany before the war between the two was inevitable. In short, the blood pact--while it may have had a different purpose initially--is, by the time of Fantastic Beasts 2, essentially acting as this treaty between Germany and the Soviets: buying each other time. 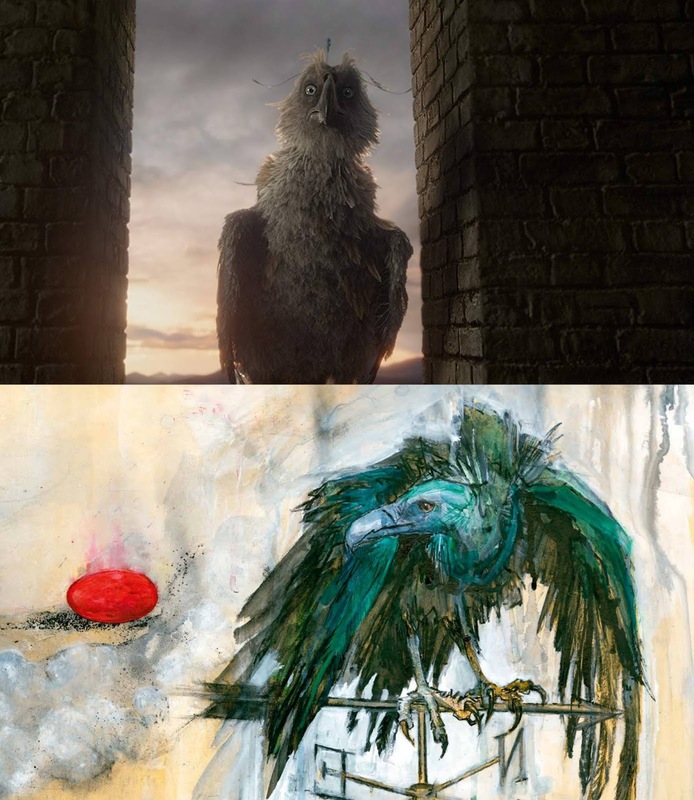 Apart from Dumbledore's pet phoenix Fawkes, we really don't know much about the phoenix, however, members of the critic community are guessing that the Elder Wand which Grindelwand controls would be capable of summoning one or even conjuring one. We all admit that this is a bit of a stumbling block to the theory that Grindelwald is just flat out lying, however, given the level of power he has, summoning a magical bird doesn't seem that difficult of a feat to perform. Now, the next theory, can actually co-exist with the "lying theory," and it bases itself on the line Dumbledore keeps saying about Grindelwald, "We were more than brothers." 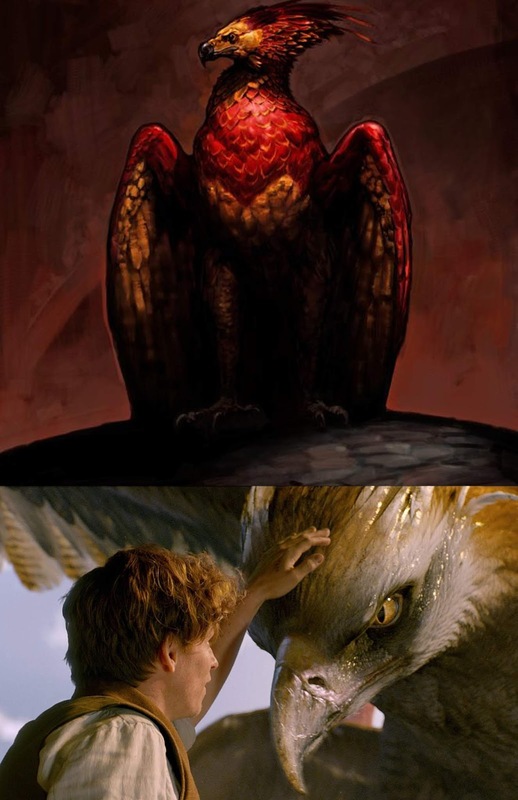 This is an augurey (the drawing is concept art from Pottermore, the top image as it appears in the film) and the auguery is important because it supposedly has the same kind of regenerative powers as a phoenix but it's not a rebirth by fire, it's more a rebirth through darkness. Why enter into a blood pact? There's a saying that, "Friends are the family you choose," instead of the family you don't choose, and for a young Dumbledore--anxious to be freed of taking care of his younger, orphaned siblings--we can see why Dumbledore would choose Grindelwald to be his intelligent, advanced, ambitious and exciting brother instead of Aberforth (at one point, I think it's in the Half-Blood Prince, Dumbledore says of Aberforth, "I don't even know if he can read," which shows you how little he thinks of his brother and how distant they are). So Dumbledore saying, "We were more than brothers," is merely saying, "We were blood brothers, because we choose each other," rather than just being saddled with someone (like Aberforth and Arianna who Dumbledore did not choose). Now, please recall what happens in Goblet Of Fire when Peter Pettigrew concocts that "potion" to restore Voldemort's body: he takes some of Harry's blood which then becomes a part of Voldemort; in a sense, Harry and Voldemort become "blood brothers" (although Harry certainly doesn't choose to do so) and Voldemort then becomes Harry's protector because Harry's blood now runs in his veins (the same way Aunt Petunia's blood protects Harry because she and Lily share the same blood). This is the scenario I think Rowling is going with because, when Harry comes along, Dumbledore understands it because he's all ready been through it himself with Grindelwald. There is quite a bit we don't know about phoenixes (pictured at the top, from Pottermore) but we do know that they are closely related to Thunderbirds (bottom image) which Frank was one from FB1. If Dumbledore and Grindelwald are brothers, then Grindelwald is "including" Credence in on their blood brother pact: if Grindelwald has chosen Credence to be their third brother, then Dumbledore can no more hurt Credence than Dumblefore can hurt Grindelwald. Please recall, in Fantastic Beasts, Grindelwald (disguised as Percival Graves) used Credence to help him locate an obscurial, presumably a little girl who had suppressed her magic, NOT a long-lost LeStrange or Dumbledore sibling. Knowing about Arianna's power (she accidentally killed her mother) and that he and Dumbledore are not going to pursue their plans together--but Dumbledore may actually try and stop him some day instead--Grindelwald was seeking a powerful "second" for the next duel he and Dumbledore would have, and he wanted his own obscurial on his side, and that ended up being Credence. Let's remember a few things we know about obscurials: first, Arianna died when she was 14, so according to FB&WTFT, IF Arianna was an obscurial, she was quite old. Second, we learn in Crimes Of Grindelwald that love can actually heal an obscurial, and if a child feels sufficiently loved, then they don't develop an obscurial, even if they suppress their magical abilities, which we know for a fact that Arianna did after her attack at the age of 6 (there are some people suggesting that Credence is the son of Arianna, that when she was attacked by the muggle boys, she was also raped, but I seriously doubt that, even in the wizarding world, a 6 year-old girl would be able to conceive a child at age 6, which then leads to Credence being roughly 7-8 years old when she died,.... he definitely would have had memories of her and the family). So, we haven't had it confirmed that Arianna was an obscurial, and in COG when Dumbledore tells Newt that an obscurial can be healed with love, I think that was Rowling's way of vanquishing the rumors that Arianna was an obscurial: she was definitely loved, she definitely felt safe, she just never learned to control her powers, and there is another example of a young girl in a similar situation: Merope Gaunt. She has constantly abused by her father and brother and didn't show any magical abilities, but she didn't develop an obscurius in spite of not having any love in her life to protect her, whereas Arianna did (from her mother and at least Aberforth, and there's no reason to suspect that Albus didn't show her love, he just regrets he didn't show her more love). 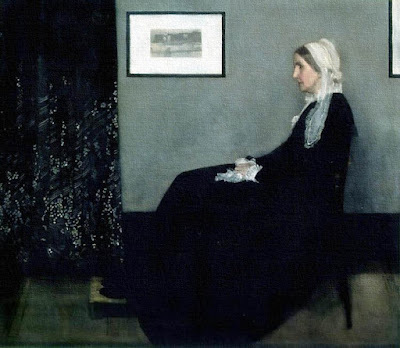 The point of this discussion is to draw out some points of criticism of what seems to be a theory gaining popularity, namely, that when Arianna died in the duel, her obscurius (remember, we don't know that she had one) left her and found Credence and that's how Credence is a Dumbledore, is because Credence has Arianna's obscurius,... oh, but that was destroyed wasn't it at the end of FB&WTFT? For me, this is the cinch on this theory: when we first meet Credence, and we first meet Grindelwald, Grindelwald is disguised as Percival Graves. Why is that important? Because Dumbledore's father was named Percival, so it's like "from the grave, Percival Dumbledore" gave birth to another son (Credence) in sharing Grindelwald's blood from the blood pact with Credence. Yes, as far as we know, Credence hasn't made a blood pact with Grindelwald,.... yet. But in taking the wand Grindelwald hands him (hand to hand, like the pact we saw between Dumbledore and Grindelwald in the Mirror of Erised) it seems that Credence has decided to accept--at least for the moment--the identity Grindelwald has handed him, Aurelius Dumbledore: Credence, then, is a "Dumbledore" by blood, just not by birth (as Grindelwald could say the same of himself); having Dumbledore blood would also answer why the phoenix--if it is a real phoenix--comes to Credence at the end of the film, of if it's just because Grindelwald--having Dumbledore blood--can summon a phoenix when in need of his own, and since Dumbledore has the blood pact vial, it's possible this is a sign of Grindelwald's forthcoming defeat; we don't know the ability of a phoenix to decipher or interpret moral uprightness or value, only that phoenixes are very loyal). P.S.--I still have my full review of FB 2, but the explanation I wanted to provide seemed best to its own post, so more is on the way!